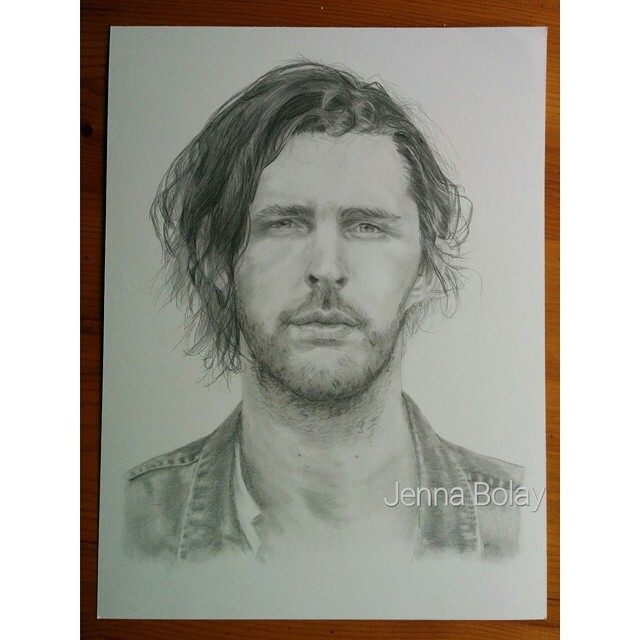 Who has 2 thumbs and forgot to sign/watermark this sketch before posting? 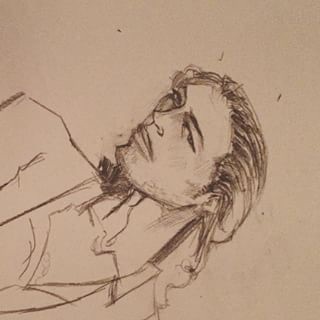 You guessed it. 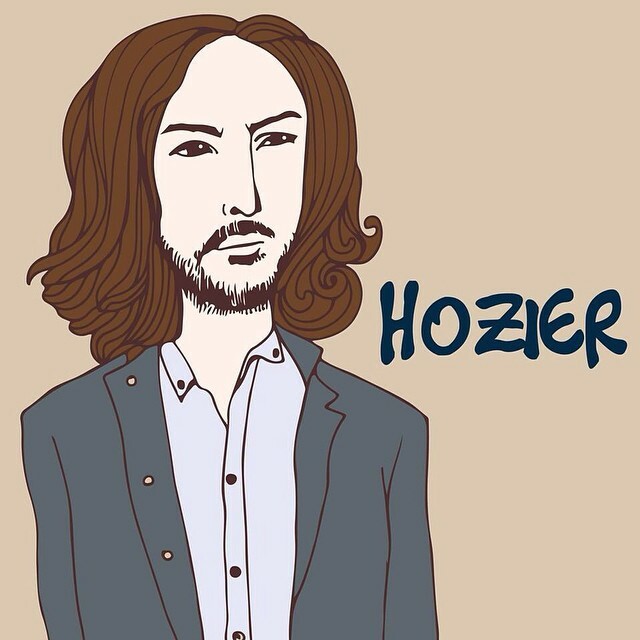 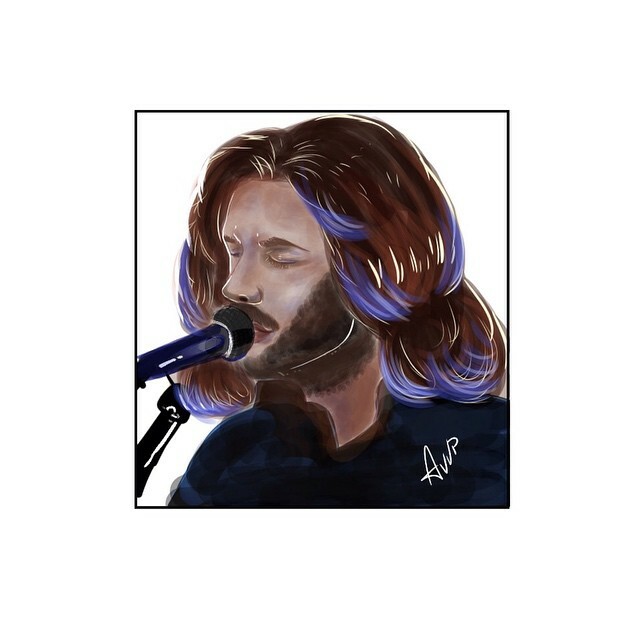 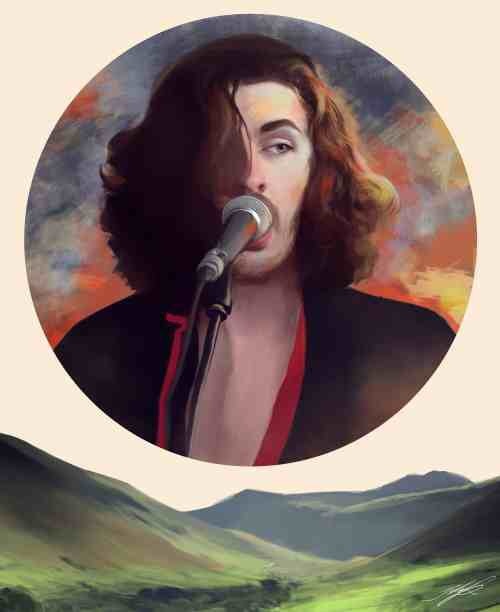 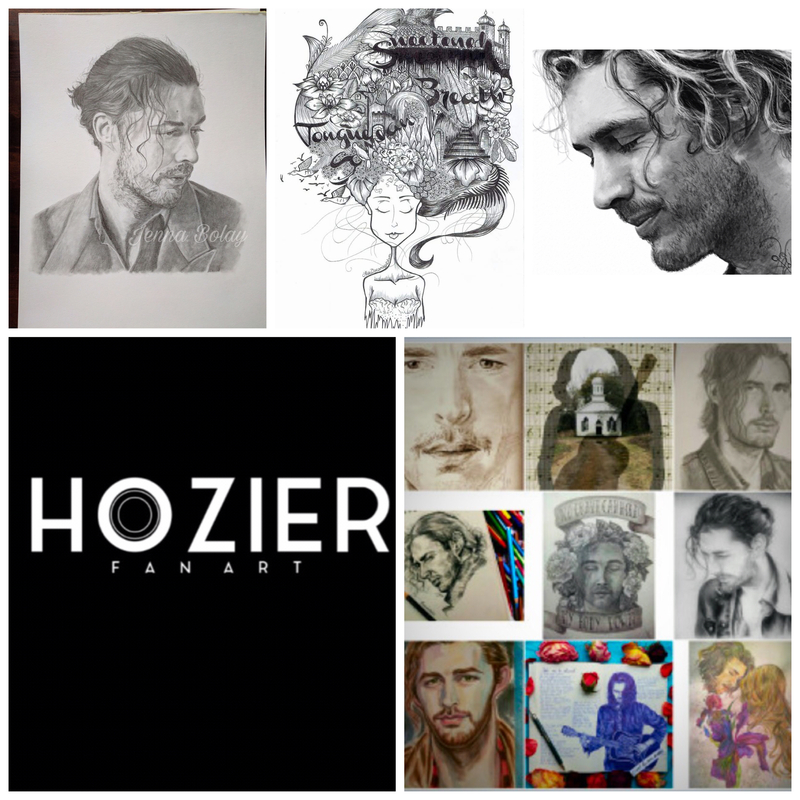 emojiemojiemoji emojiemojiThe write up went something like this: Another #hozier because I have been listening to this album daily. 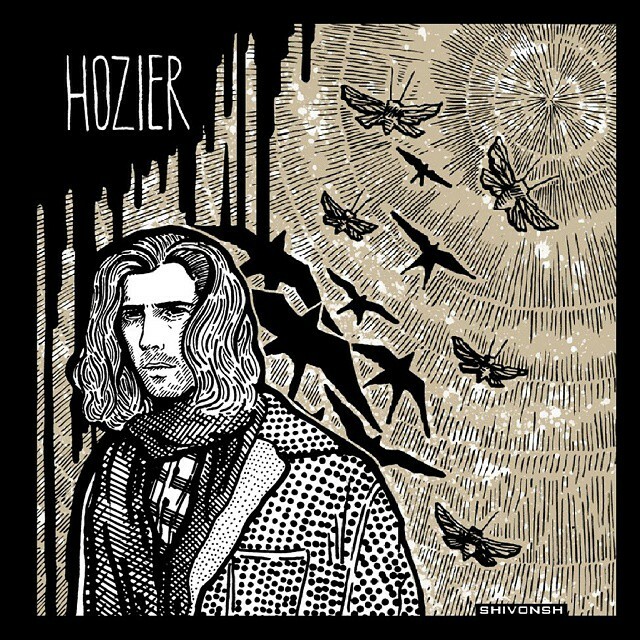 The vivid imagery the lyrics conjure provide a bit of an escape and somehow allow me to remain focused and inspired art-wise. 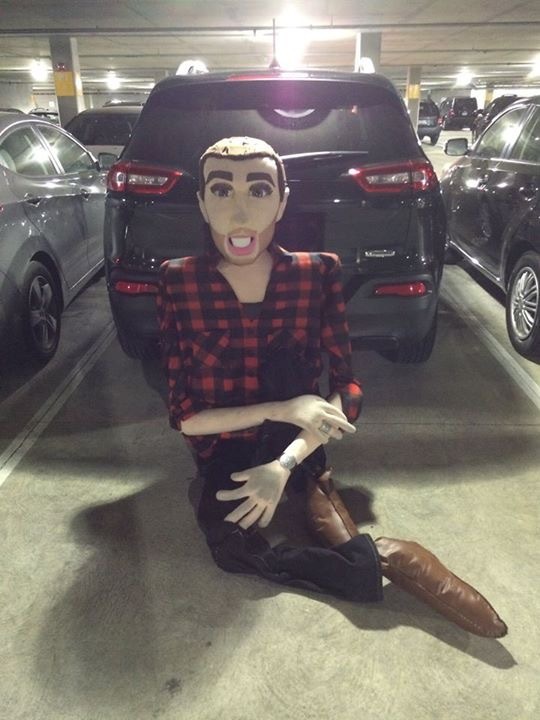 Wish i had been able to utter this in Sacramento, perhaps in San Francisco! 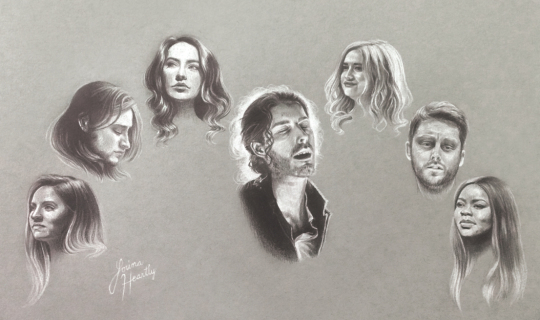 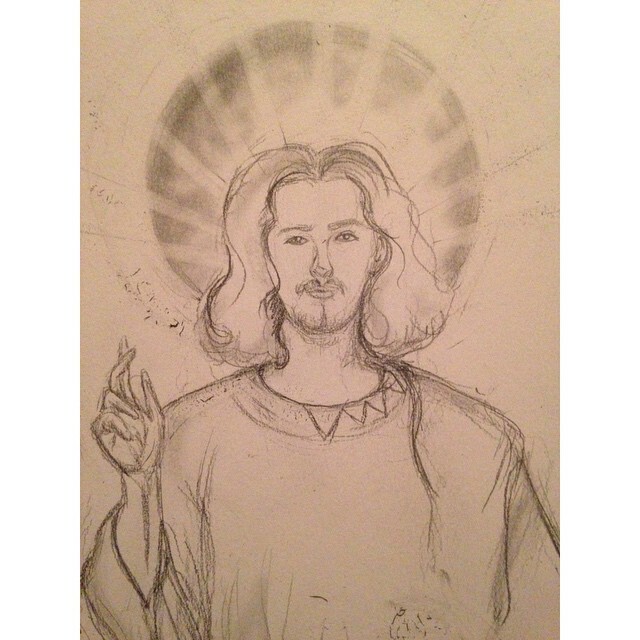 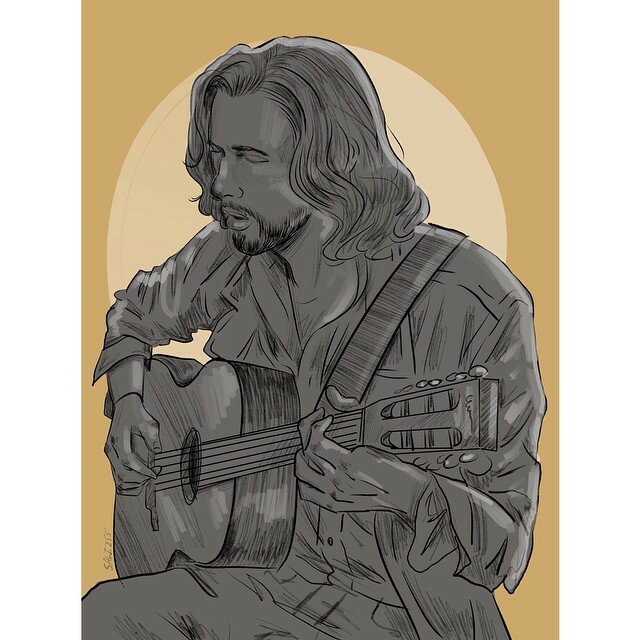 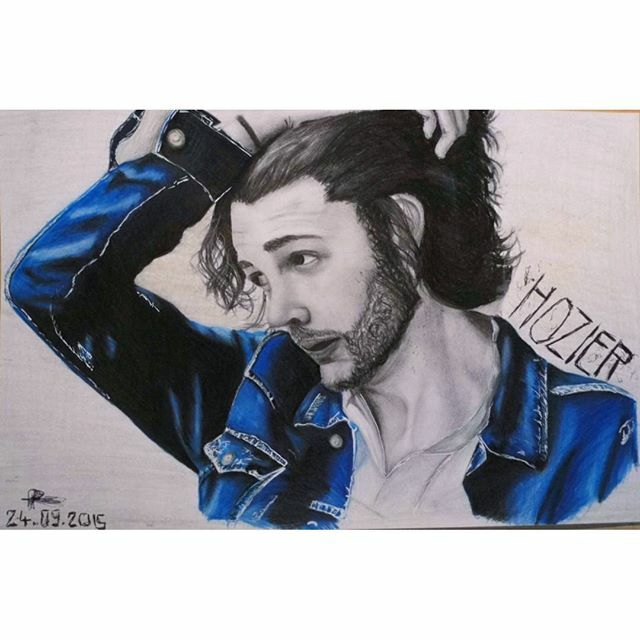 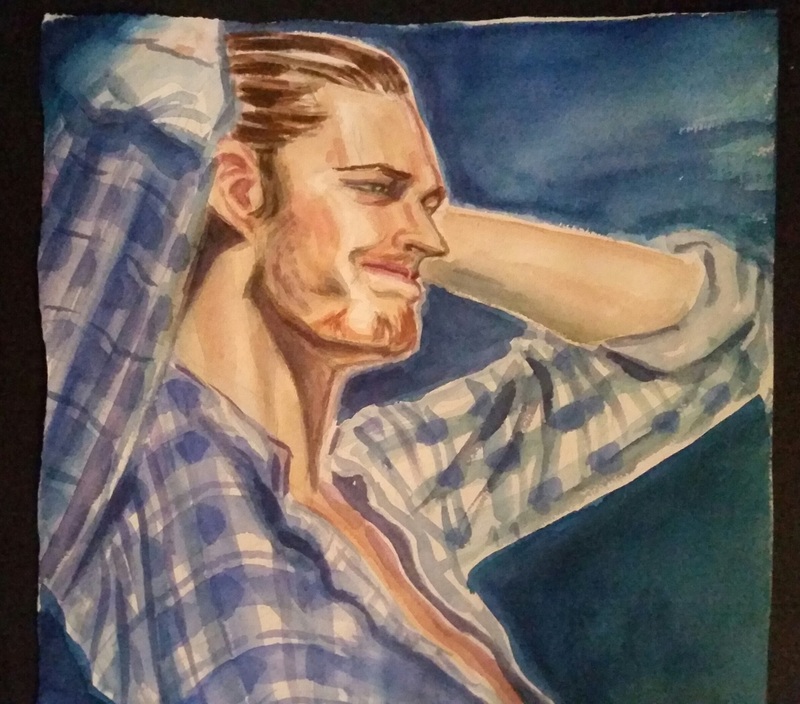 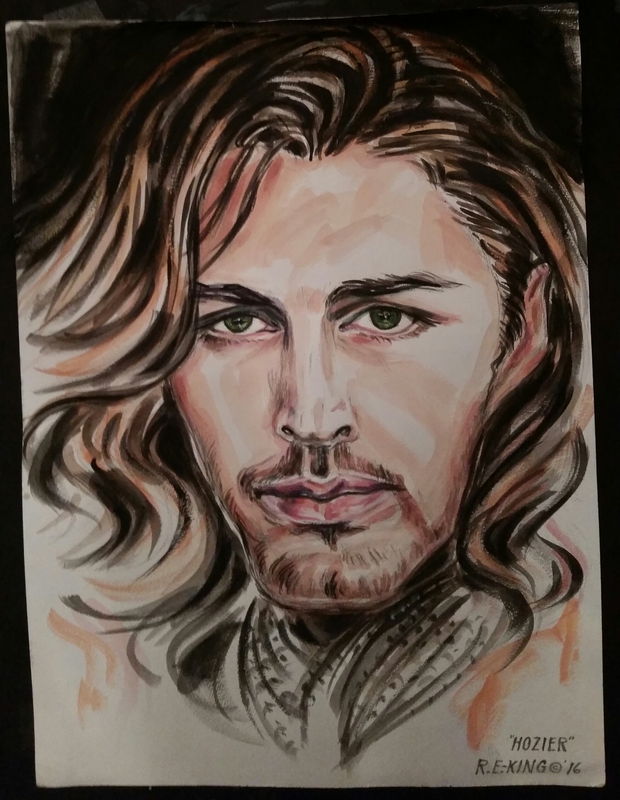 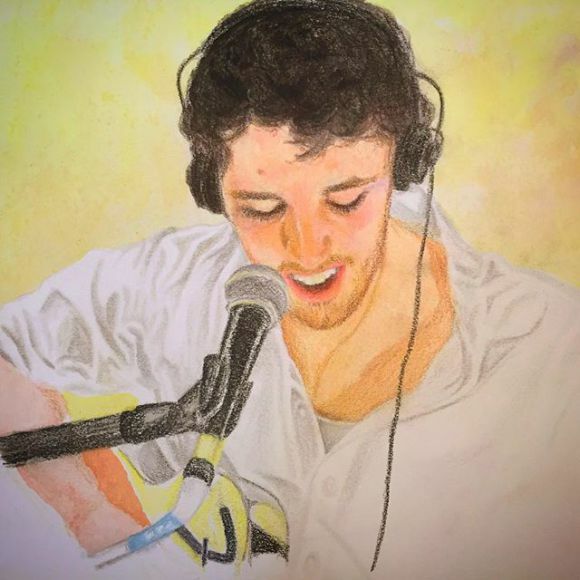 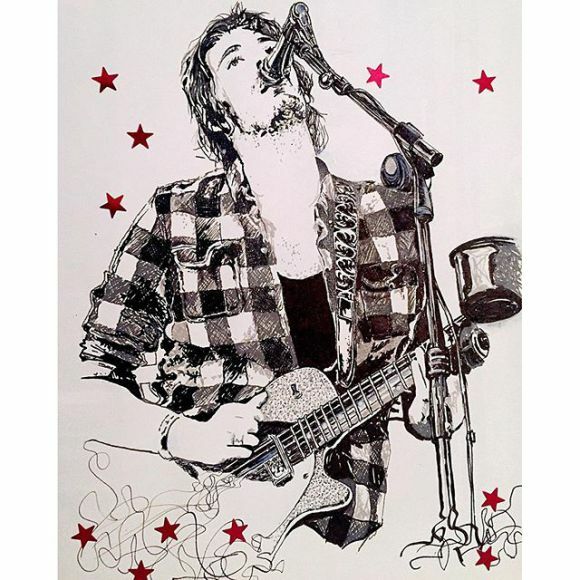 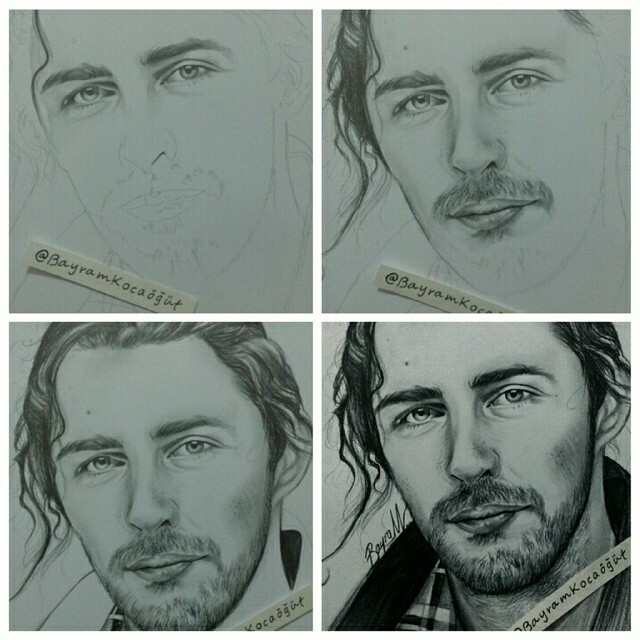 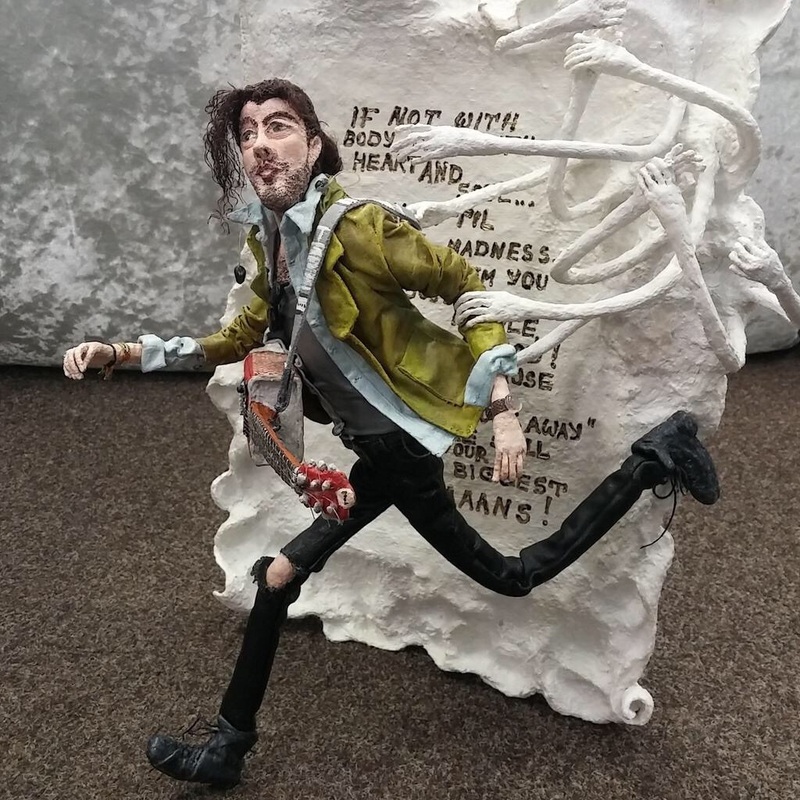 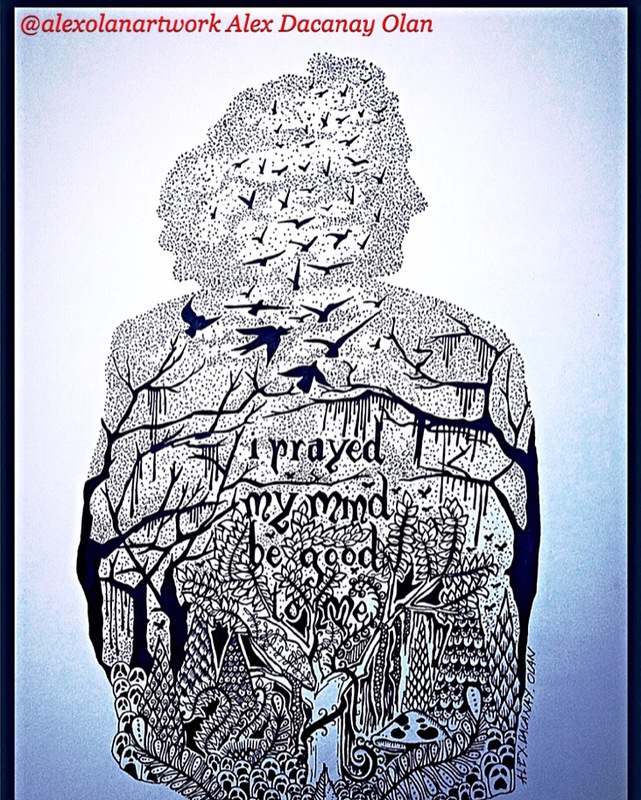 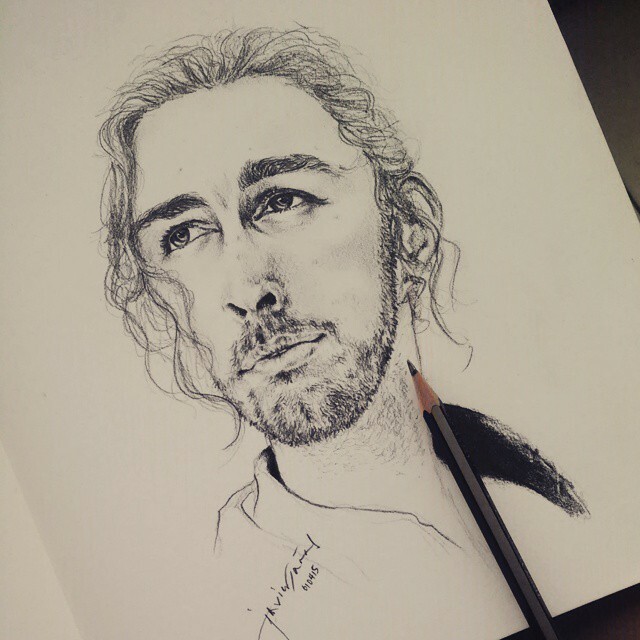 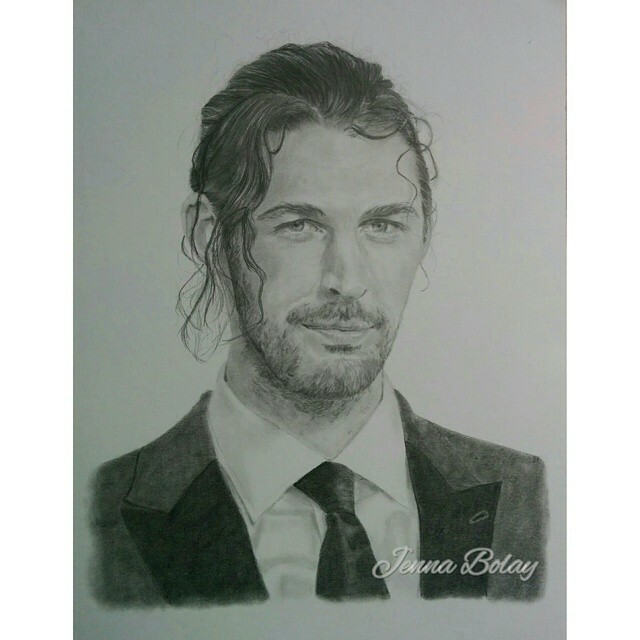 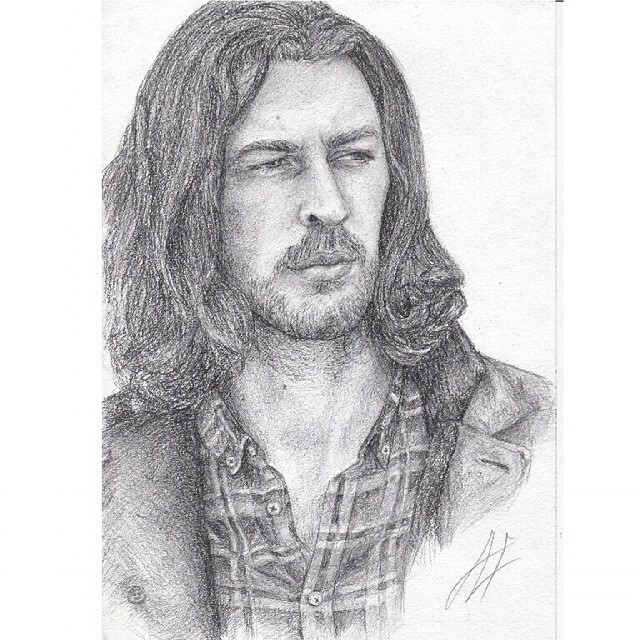 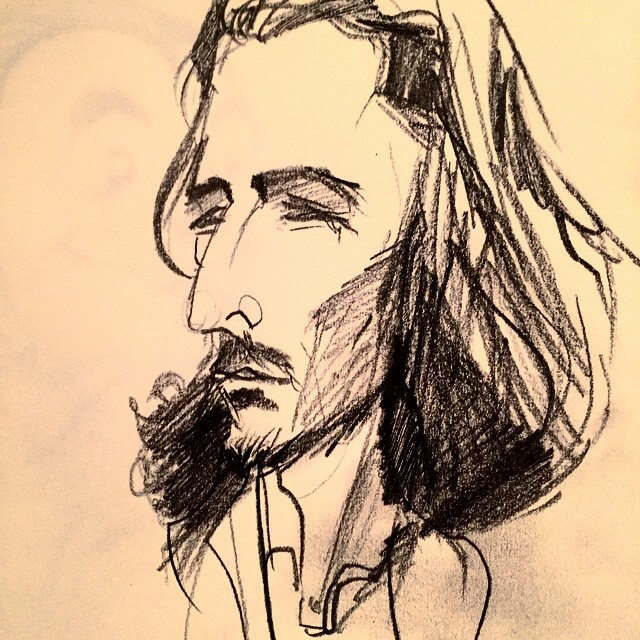 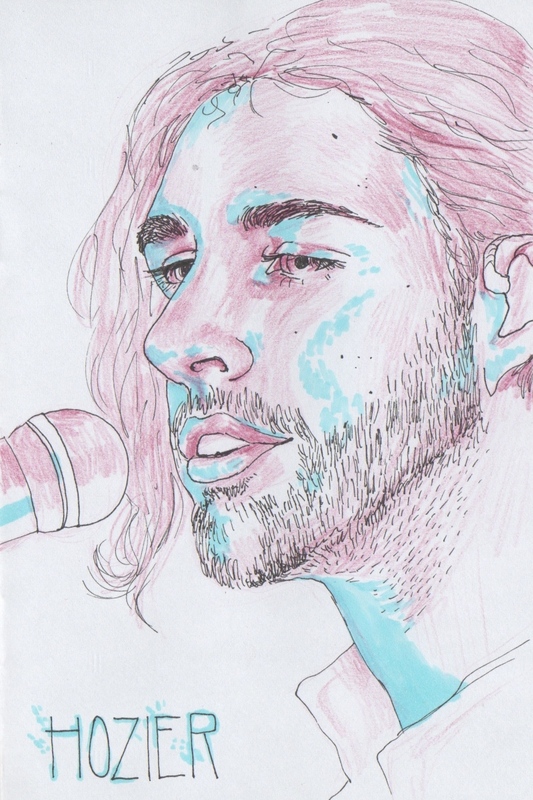 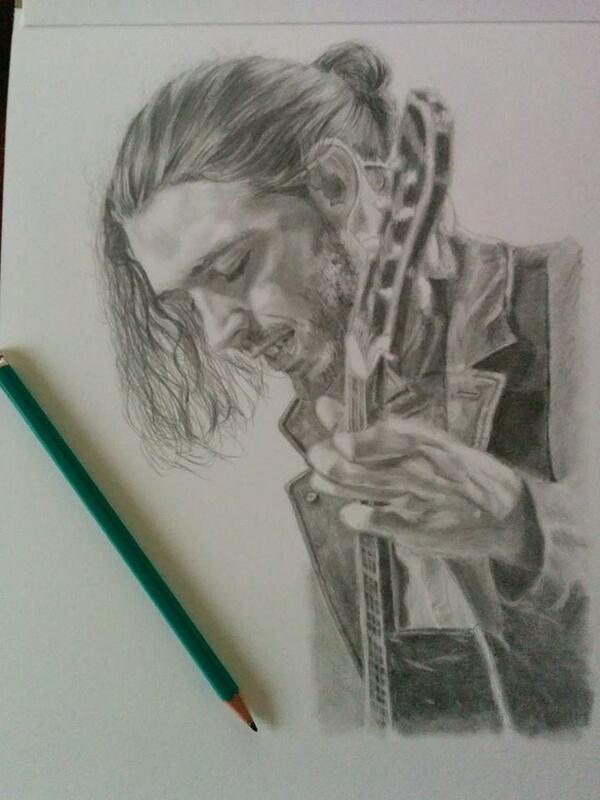 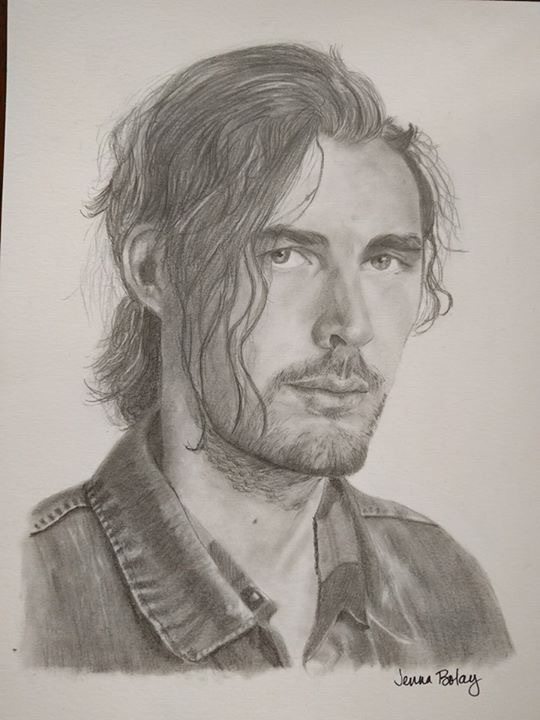 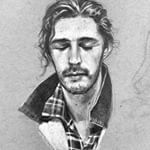 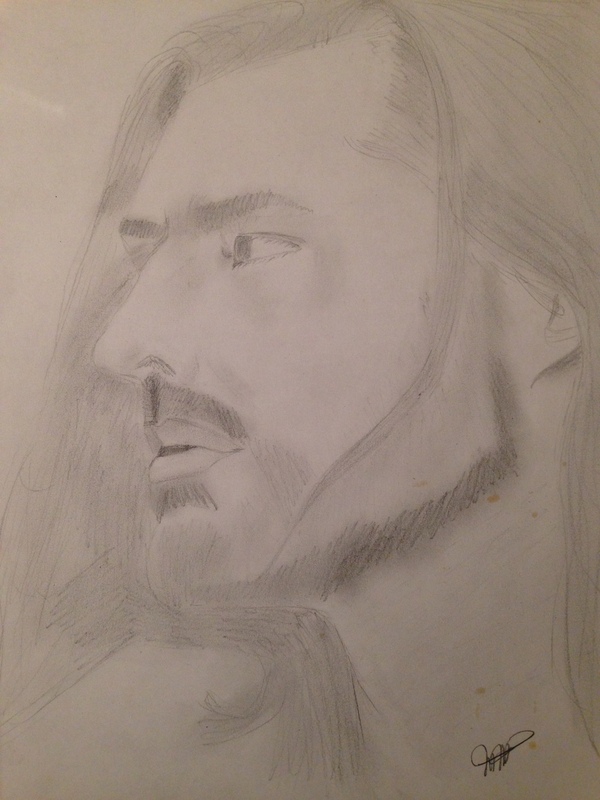 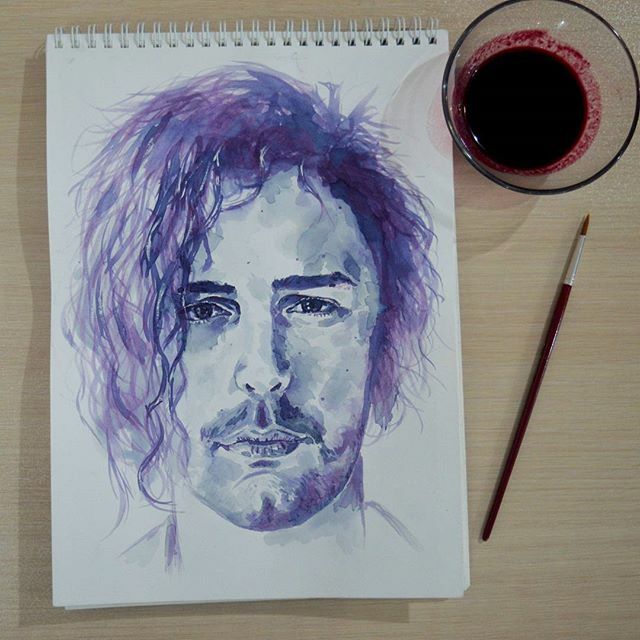 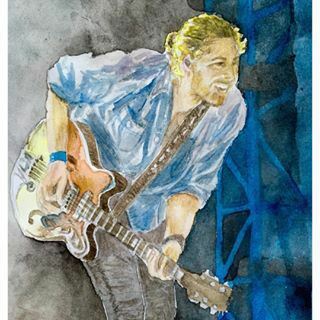 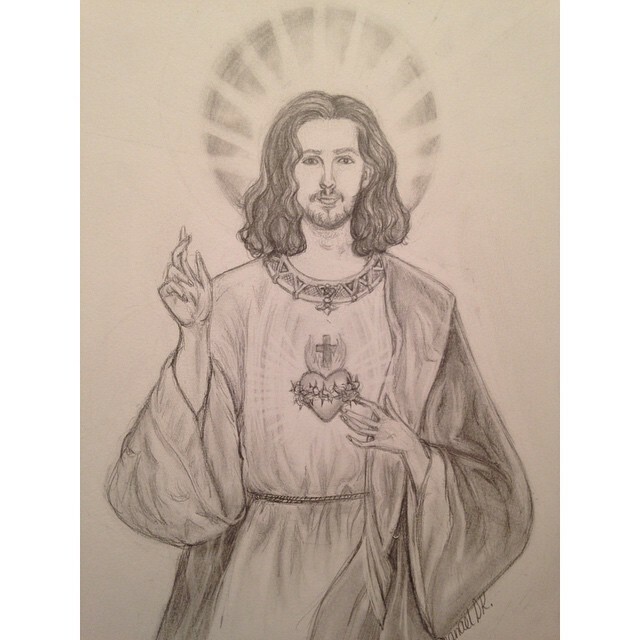 Jenna is a devoted fan of Hozier and continues to sketch him. 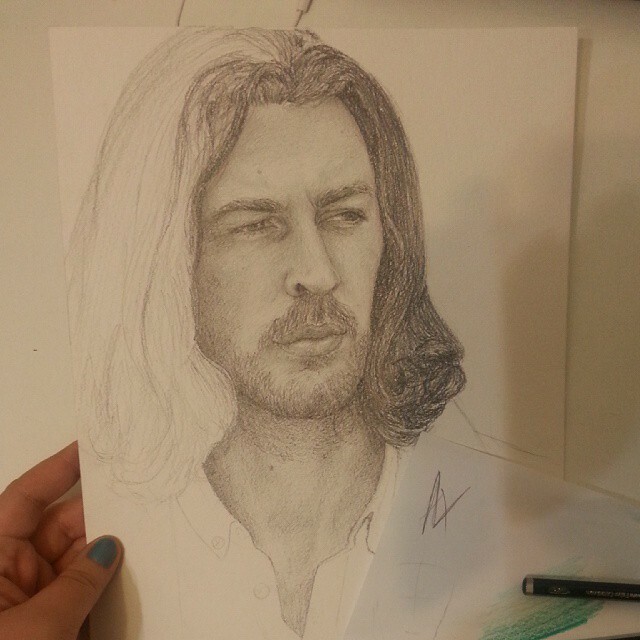 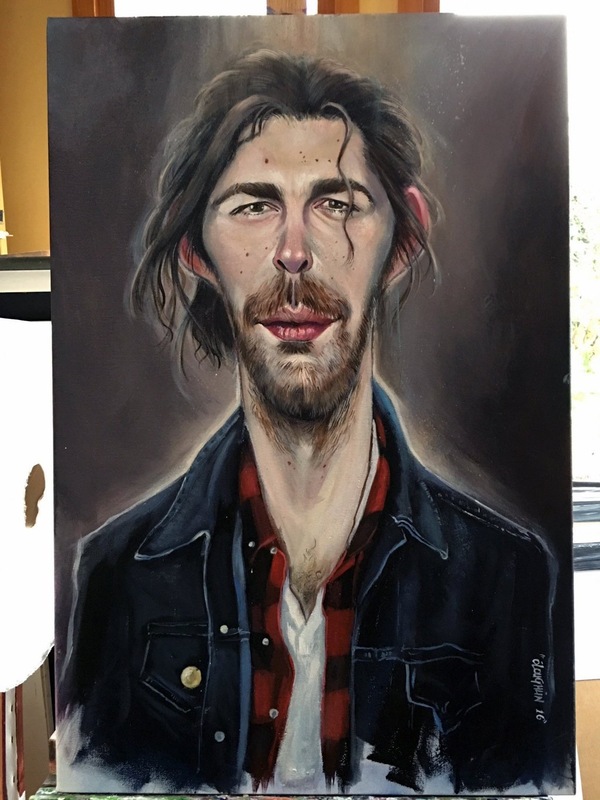 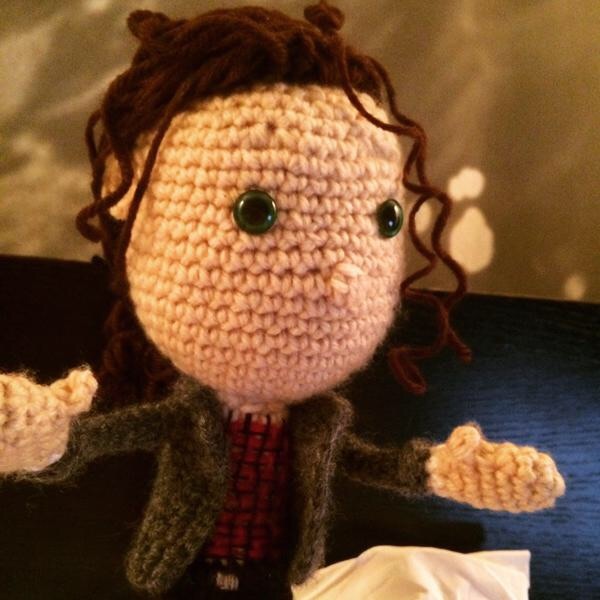 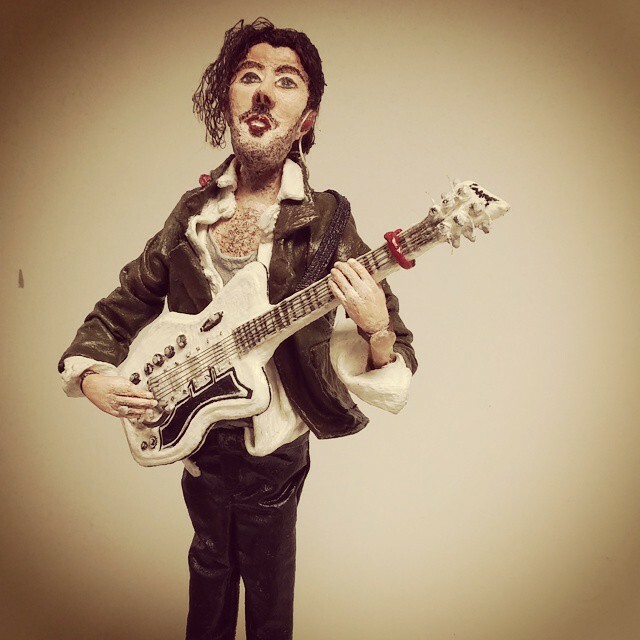 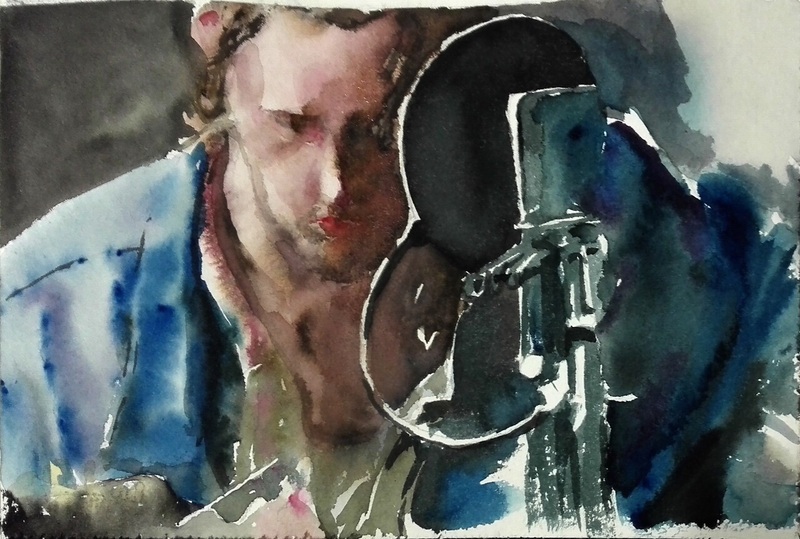 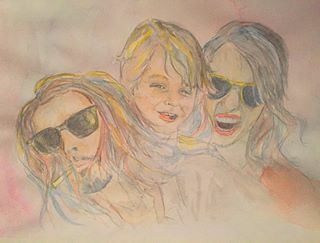 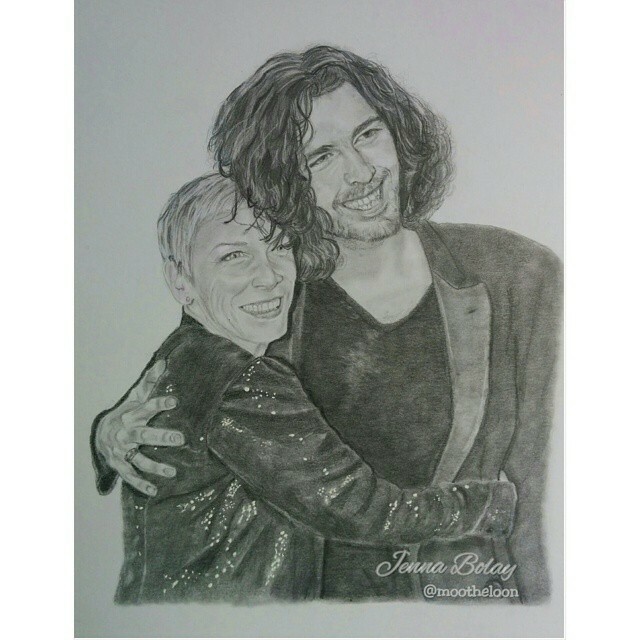 Her current project is a sketch of Hozier and Annie Lennox. 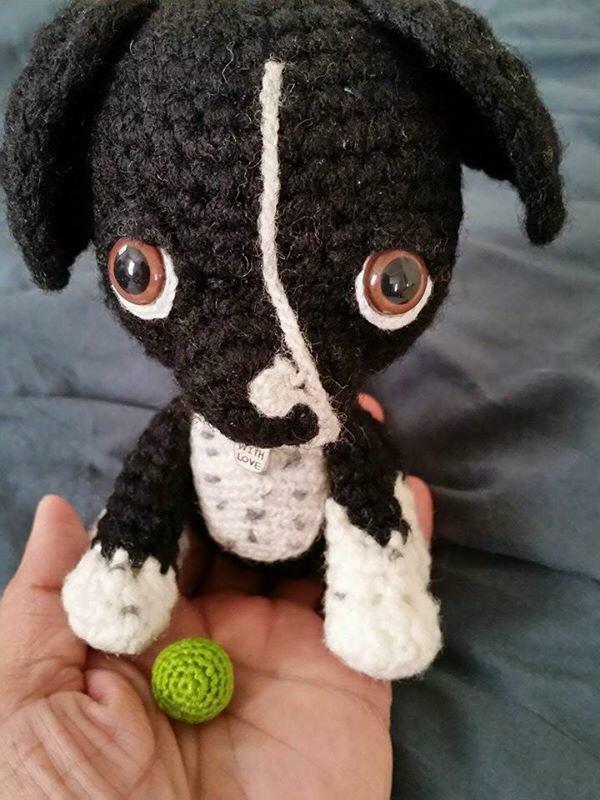 She hopes to give it to him at an upcoming San Francisco concert. 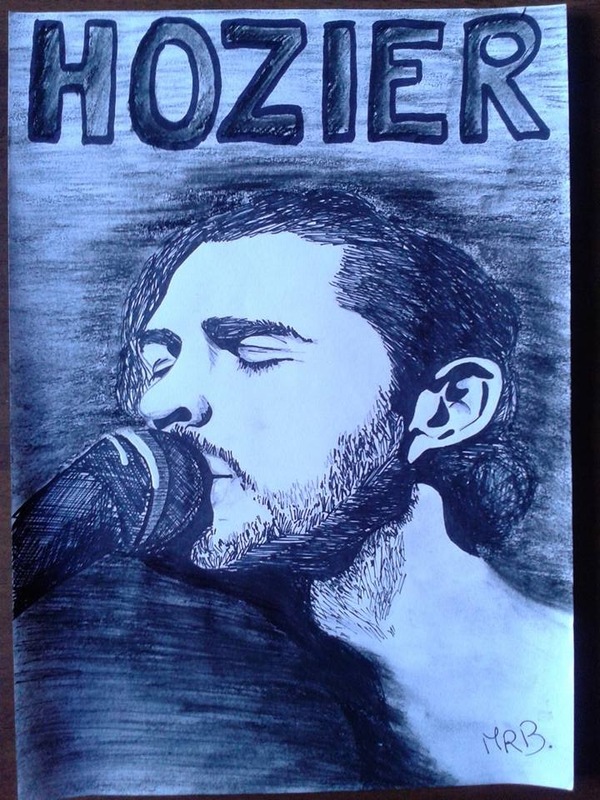 She too wanted to give him a commemorative piece to remember his first Grammy Nomination and performance. 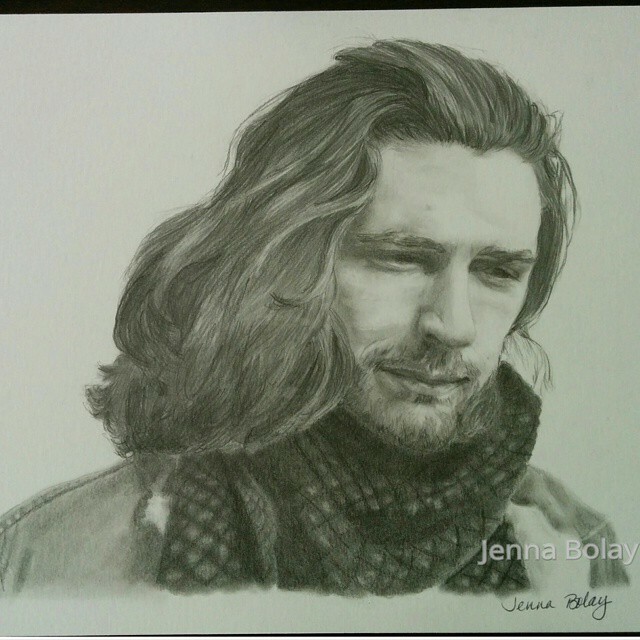 It’s hard for me to believe that Jenna’s has had no formal training. 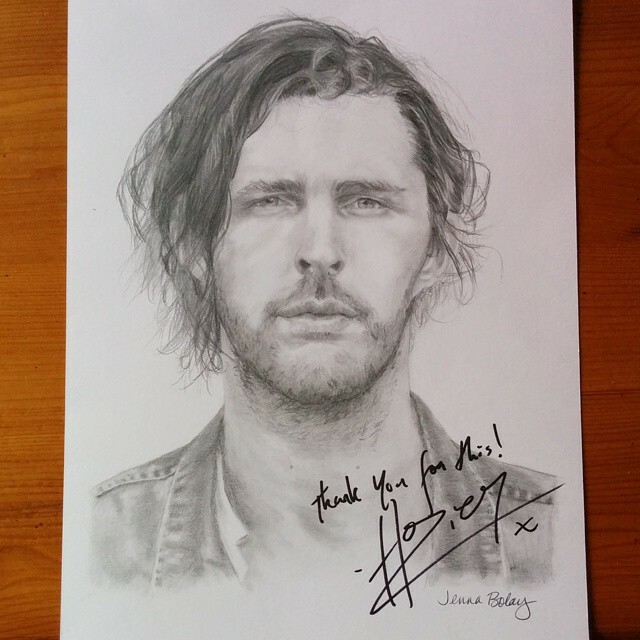 The first sketch I posted on Celebrating Fan Art, is the one that he signed for her at his recent show in Sacramento, CA. 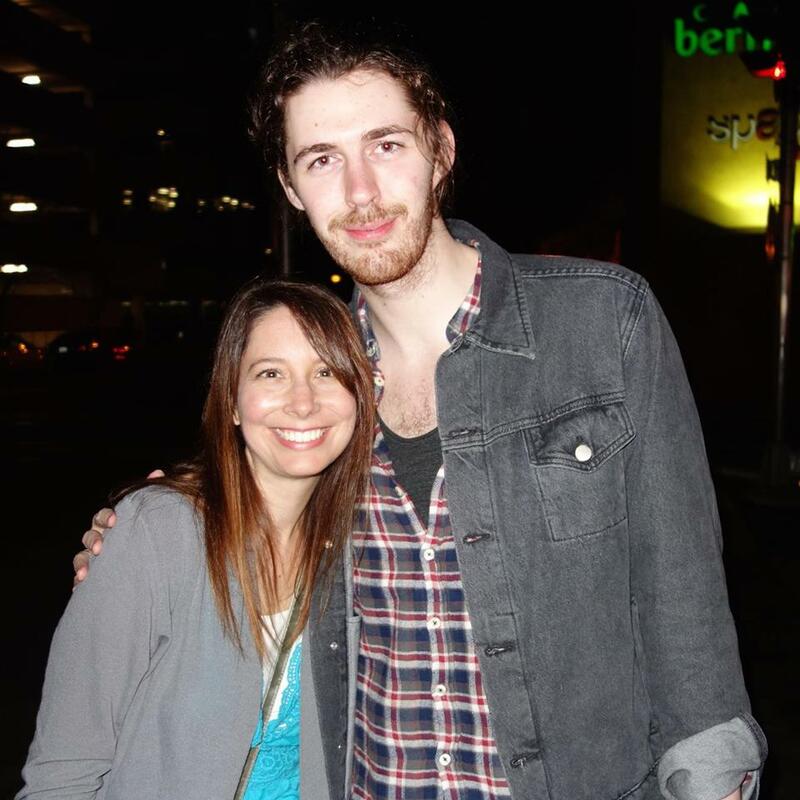 The one of him playing the guitar, was a gift she gave him at the after show meeting (Photo). 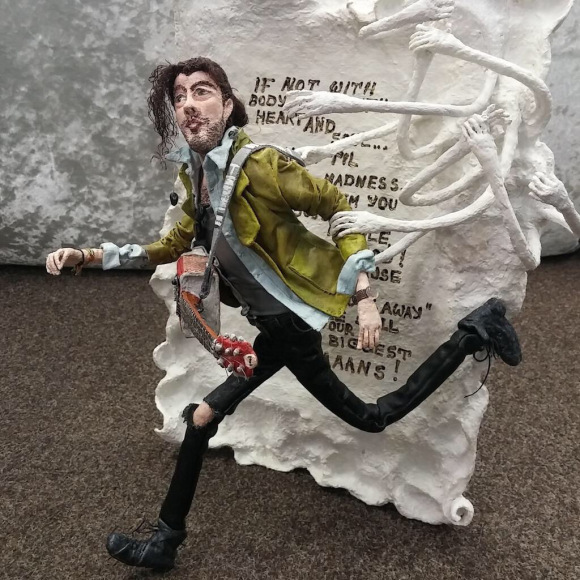 He was blown away. 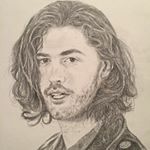 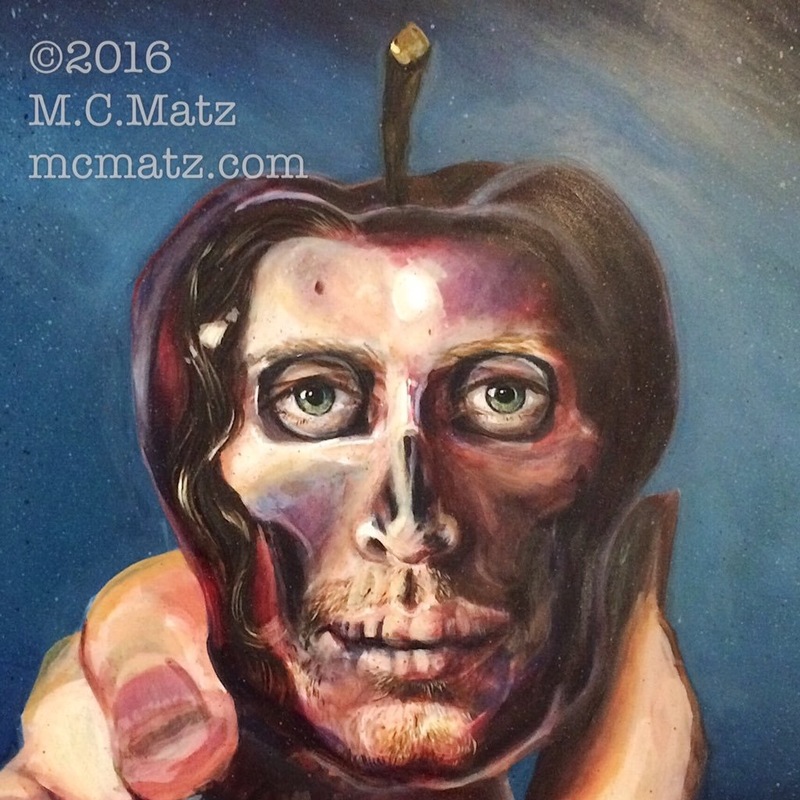 Look for updates of this incredibly talented artist. 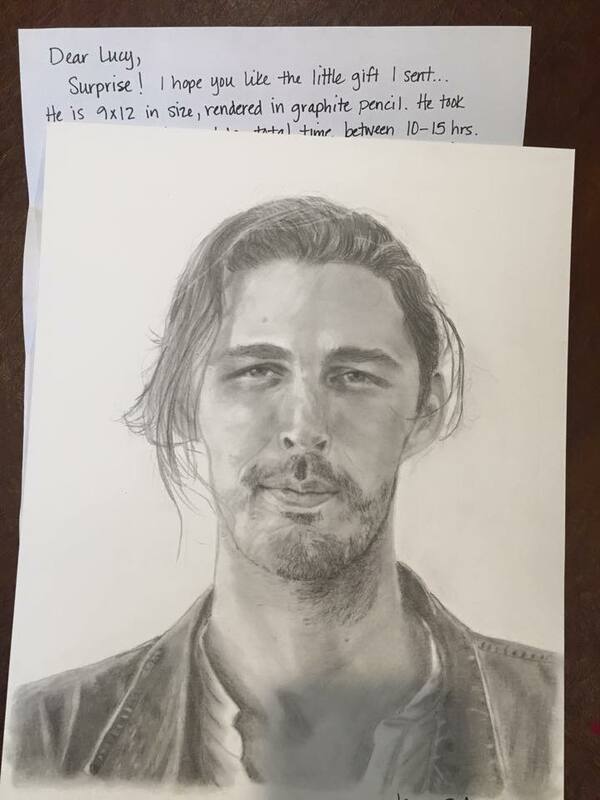 On April 29th 2015 I got a message that a package was delivered. 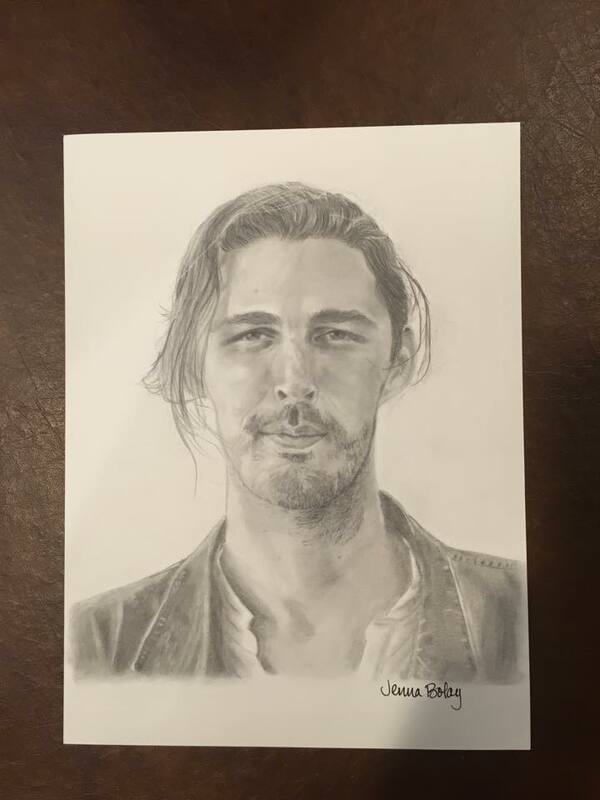 I was at work, and all I wanted to do was click my heels three times and say “There is no place like home.” The drive home was grueling… the package made me cry for 1/2 hour.